Do you ever notice blank stares from your students at the beginning of the school year followed by their inability to recall information you know they mastered last year? Unfortunately, most teachers do. 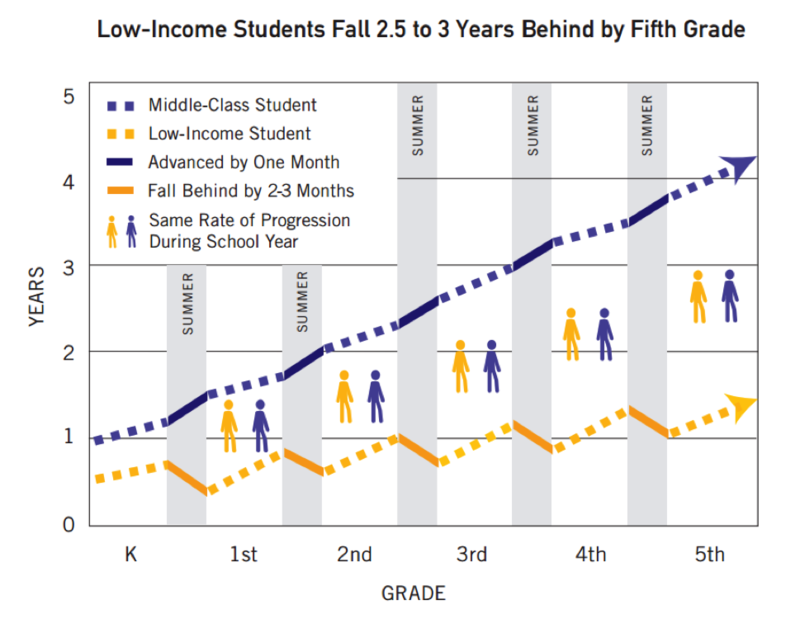 The chart below shows that despite doing as well as their higher-income peers during the school year (in terms of gains), low-income students fall behind each summer, in both math and reading, putting them at a 2.5 to 3 year disadvantage by the start of 5th grade. It’s a fact. The “Summer Slide” phenomenon affects our students and it needs to be remedied. Most kids and parents know that reading over the summer is important. However, many students lack easy and reliable access to books and other academic material. Plain and simple, we need to get literacy resources into homes over the summer. We know you understand the importance of reading comprehension (reading is of course an indicator of academic success.) You probably also know that since listening (hearing fluent words in context) is essential, kids being read aloud to is essential, also. But it can be hard for parents to find the time, especially working parents or those who cannot can read proficiently. And for students who don’t know how to read yet or lack motivation, they lose out on vital skills gained through spoken sophisticated words. 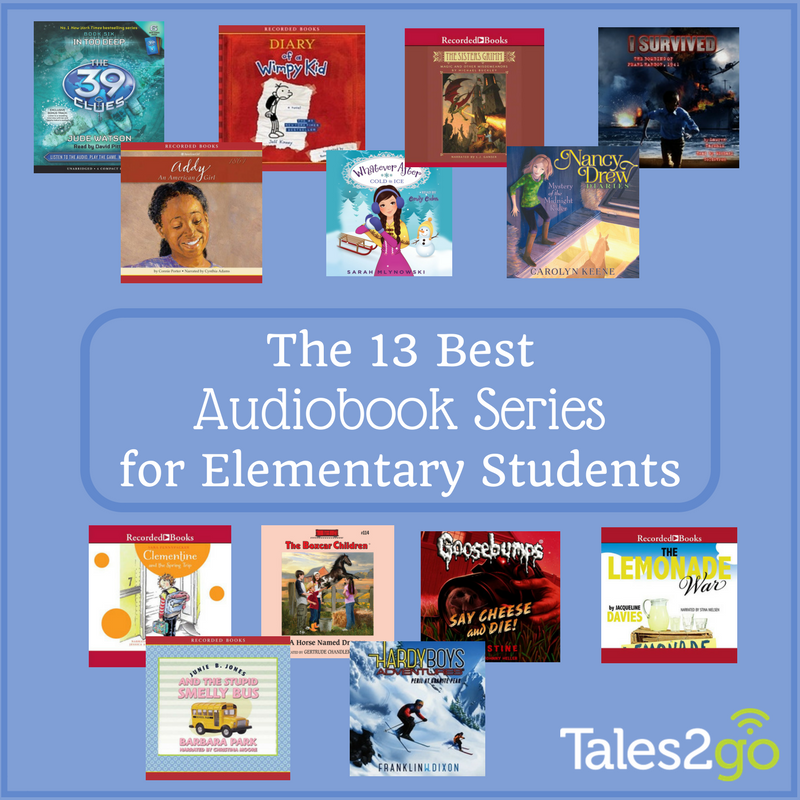 Mary Ann Scheuer, a Tales2go Audiobooks advocate and Teacher Librarian, presented an EdWeb webinar about how to prevent the summer slide with audiobooks. Mrs. P, one of the storytellers on Tales2go also has a great Summer Slide blog post. Check it out!